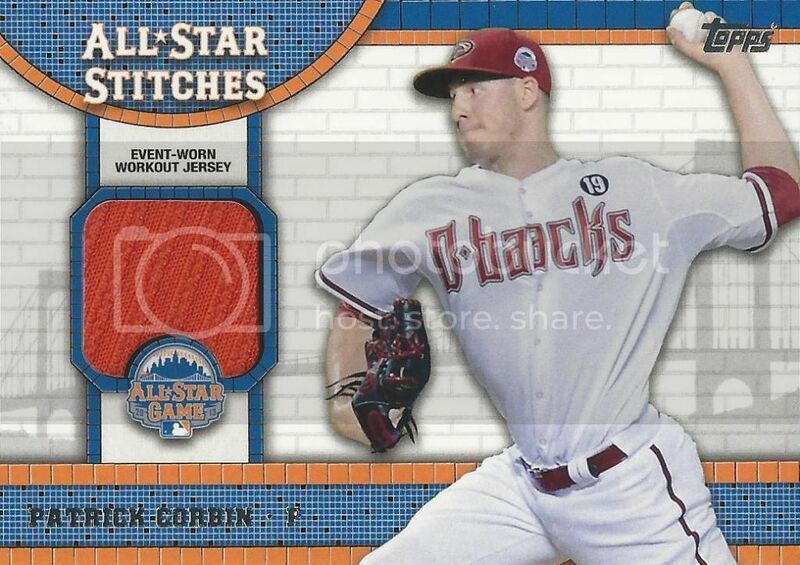 When 2013 Topps Update first came out a few weeks ago I knew I had to get Patrick Corbin's All-Star Stitches jersey card. I've always look forward this set and this year's design is pretty nice as usual. Great looking card!! It looks like it might be a patch. Is it? I think it just has some texture to it. Maybe an under the arm piece.